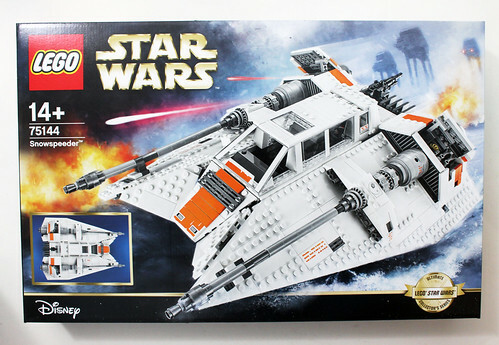 It was just only a few weeks ago when the LEGO Star Wars Ultimate Collector’s Series Snowspeeder (75144) was officially announced but we’ve managed to get a hold of the set, courtesy of LEGO, and we’re happy to bring you this review of the set. 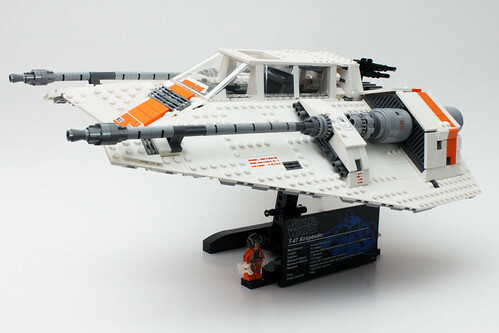 Coming in at 1,703 pieces, the UCS Snowspeeder will retail for $199.99 and will be available starting April 29 for LEGO VIP early access and on May 4 for the general public. 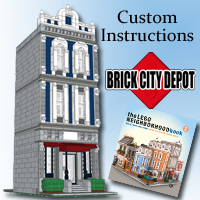 The contents of the box include 13 numbered bags, a loose 8×16 plate, a black 8×16 flat tile, and the instruction booklet packaged with the sticker sheet. 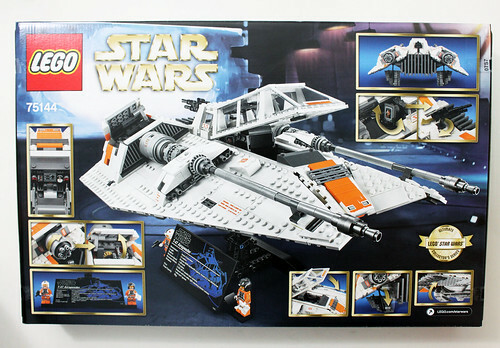 The instruction booklet for the UCS Snowspeeder is very thick. It has 300 total pages counting the covers. 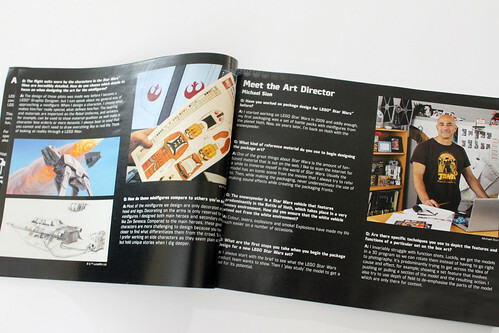 The first page contains a short message from the LEGO Star Wars Design Director Jens Kronvold Frederiksen who gives some details about the LEGO Star Wars Design Team. 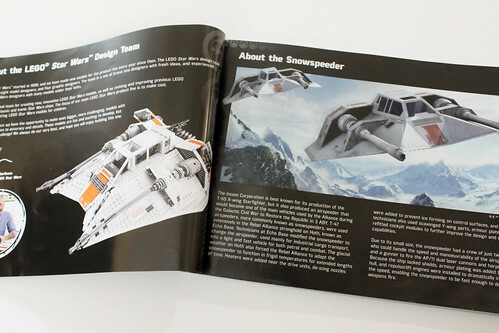 The next two pages gives you some background information about the Snowspeeder including some facts and stats that are on the UCS plaque. Finally we have short interviews with some members of the design team including Model Designer, Jordan David Scott, Graphic Designer, Marie Sertillanges, and Art Director Michael Sion. There are two minifigures who are unnamed but are given generic titles, the Rebel Snowspeeder Pilot and Rebel Snowspeeder Gunner. 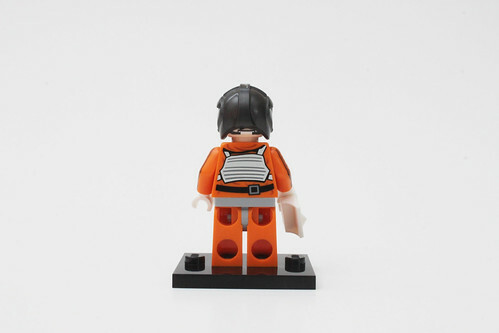 The Rebel Snowspeeder Pilot, who I believe is Zev Senesca, has on the usual orange flight suit with printing of the flak vest and life support box on both sides of the torso. What makes these torso exclusive is the arm printing on both sides. The legs have some printing of the belt on the waist and pockets above the knees. He has a double-sided head with a confident smile on one side and a scared look on the other. There’s also printing over the eyes for the visor. His helmet is dark gray with some scuffing on it. His accessory is a pair of macobinoculars. 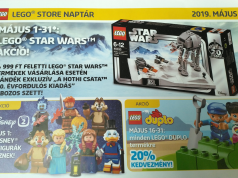 The other minifigure in the set is the Rebel Snowspeeder Gunner who I guess is Kit Valent if Senesca is indeed the pilot. 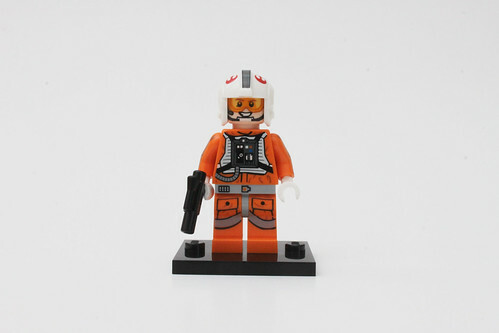 He has the same exact torso and legs as the Rebel Snowspeeder Pilot and even the head piece is exactly the same. 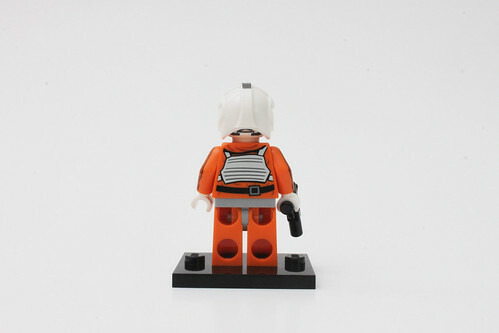 The only discernible differences between the two is the helmet in which the gunner has a white one with the Rebels logo on it and he has a blaster as an accessory. 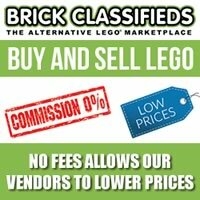 The designers said in the designer video that the minifigures should be easy to figure out but they bring more questions than answers. 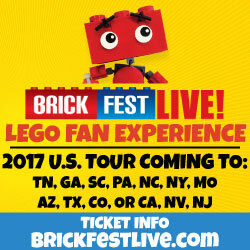 Please correct me if I’m wrong on the minifigure names. 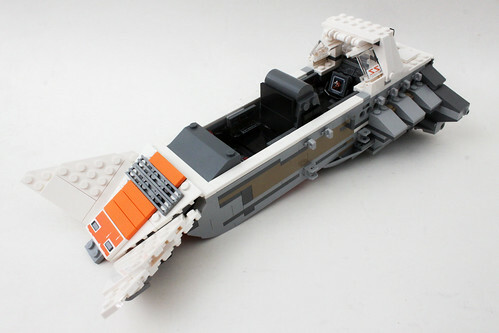 The first bag lets you build the back of the Snowspeeder which the rest of the build comes off of. There’s nothing really special that goes on here. 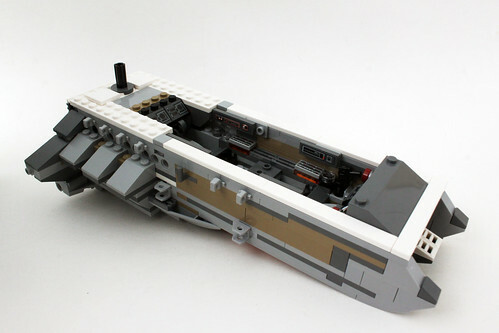 The second and third bags allows you to build the middle section of the ship with lots of emphasis in the cockpit area. 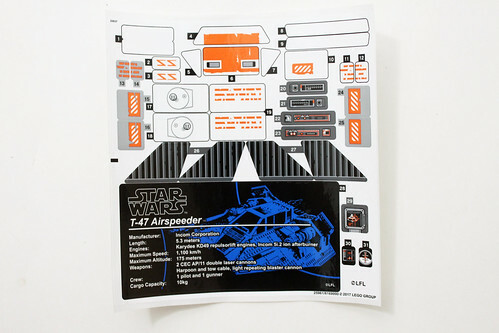 For the pilot section, there’s a combination of printed and stickered parts for the display screens. 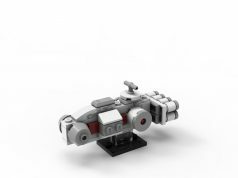 There are two blasters used for the ship controls. On the sides, again there are printed tiles for more displays. In the gunner section, there are some more printed slopes for his displays. There’s also the beginning of his control for the harpoon gun in the back which uses a simple rotating gear mechanic. 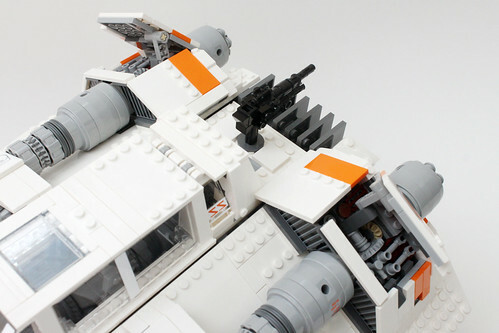 The undercarrige of the Snowspeeder also gets some details. The landing gear is right in the middle and uses a hinge to adjust. 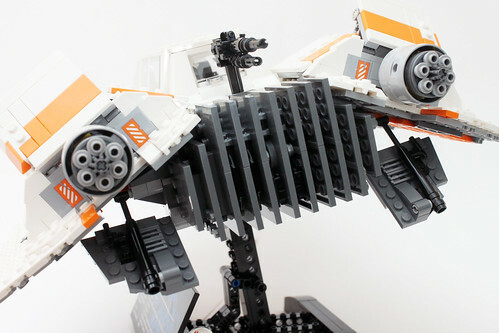 The back uses some ice skate pieces for the bottom part of the heat dispersion fins. 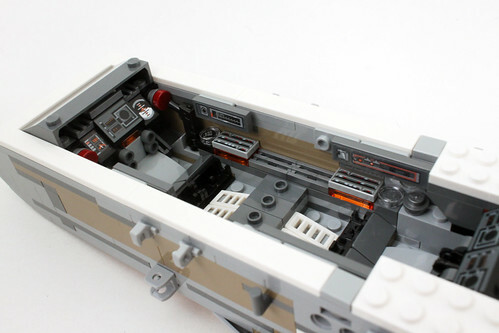 Bag 4 starts off with with the seats for the Pilot and Gunner that are attached to the ship on hinges. There’s also a little section that goes in between the seats. When putting the sectioni on the jumper plates, make sure that the stickered tiles on the sides are placed correctly or else you’ll have some messed up stickers. The controls for the harpoon gun has a sticker display on the 2×2 tile and it doesn’t look too bad. In addition, we also build the rear windshield area where the side windows have some stickers on them. 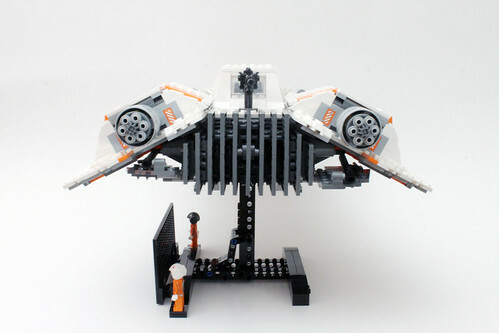 The last part of the build for this bag are the front wings that are on ball joints. 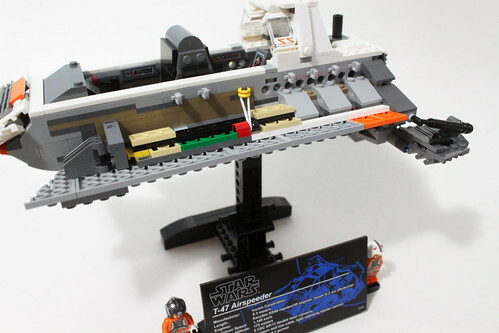 Bag 5 is purely used to build the Technic stand for the Snowspeeder. There’s also large stickered plaque that goes in front of the stand. 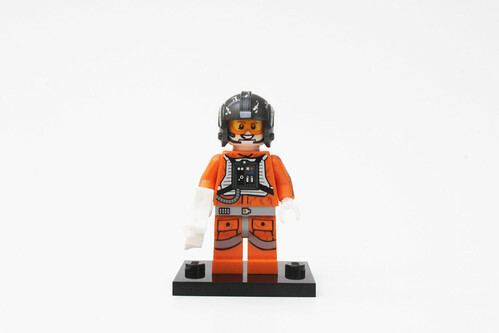 The two minifigures are included in this bag as well which go on the jumper plates on the stand. 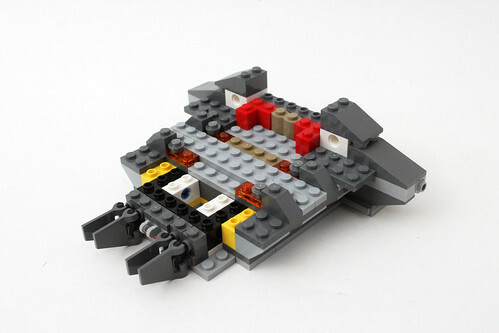 Next up, we build the lower sides of the wings which is made up of mostly plates and tiles. 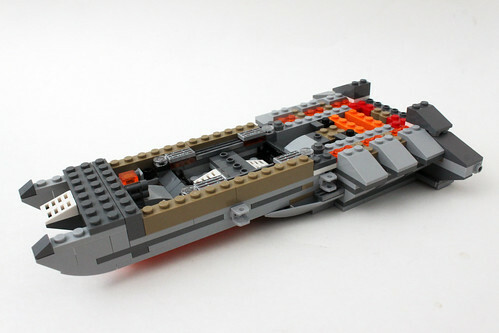 In the front, there is a small section for the wing tanks using fin pieces. 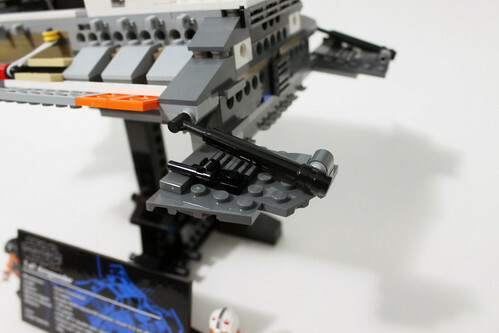 The whole lower wing section attaches to the ship on some ball joints. To keep it from drooping, there is a rubberband that goes around a hook on the ship’s side to a ball joint on the wing. Finally, we have the lower rear brake flaps that attach to the Snowspeeder using some bar elements to give a look of hydraulics. 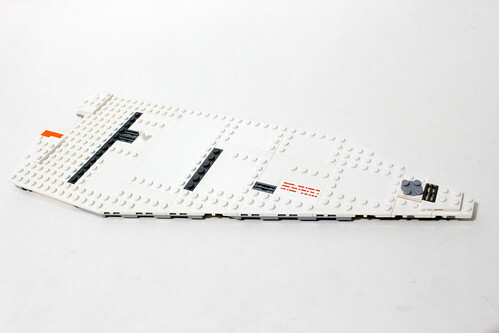 Bag 7 builds the top part of the right wing which consists of mainly plate and tile pieces. 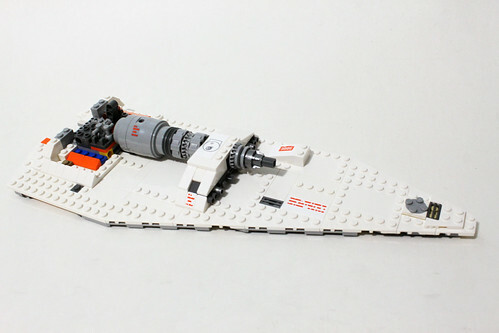 There are some new parts usage here with the Plate 3X4 With 4 Knobs in white which is currently in one other set, the Rebel U-Wing Fighter (75155). There is also a sticker on the 2×4 tile for some decoration. On bag 8, we have some detailing on the repulsor drive units including some greebling on the inside which unfortunately will get mostly covered up when the brake flaps are down. There’s also a start of the gear feature that will be used later to raised and lower the brake flaps. 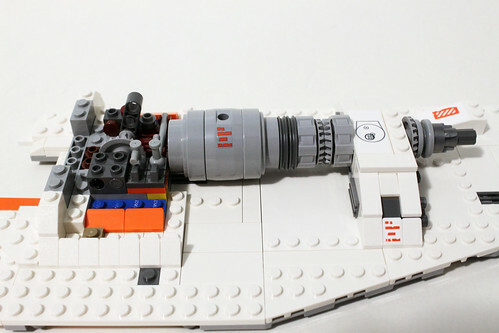 The rest of the parts for the bag are used for the converter with a sticker used on the 2×4 tile for the power coupling. Following that, we build the main thruster for the wing that doubles up as a play function with the turning gear that lifts and lowers the brake flap. 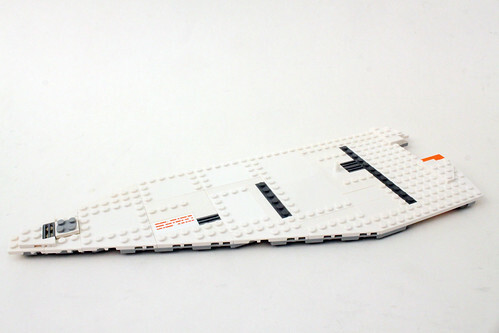 The blake flap itself is connected via a Technic pin with the top using tile to give it a smooth look. Lastly in the front, we have the laser cannon. 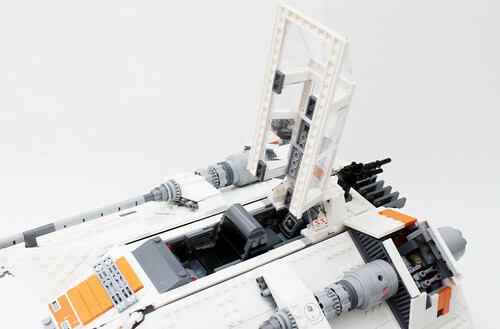 The whole wing section attaches to the main ship with hinges on the underside. 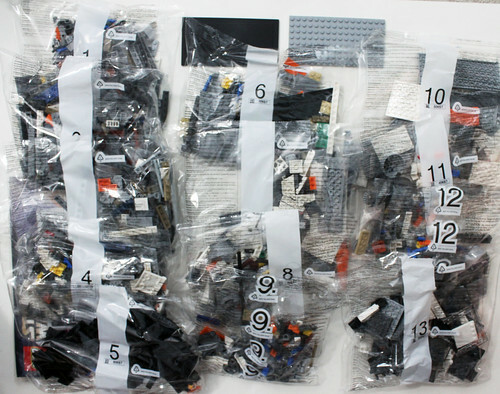 Bags 10-12 are the exact same thing as with bags 7-9 but for the left side of the wing so I won’t repeat it. For the final bag, we build the rest of the covers for the brake flap areas which again use the while and orange tiles to give it the smooth look. 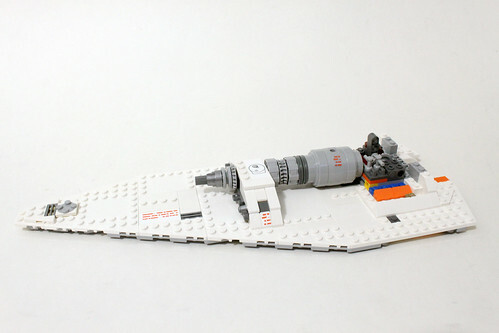 Next up, we build the heat dispersion fans on the back of the Snowspeeder. It’s separated into two sections but both sections are virtually the same except for reversing the builds for their respective sides. The fans use mainly dark gray plates with four studs on top and it’s basically just stacking them. There are some plates with pin on top attached to angle plates to connect the fins to the back of the ship. 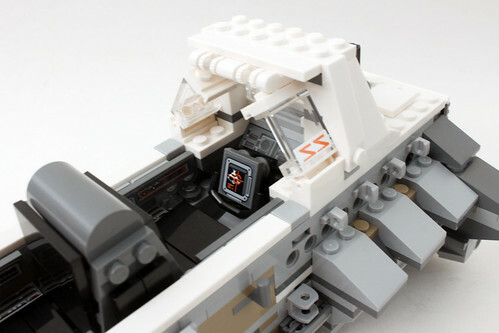 The final part of the build is the cockpit windshield which uses a new front windshield piece created just for this set. There are some stickers to apply to this new windshield piece so if you plan on using it for your own creations, I suggest not applying them. 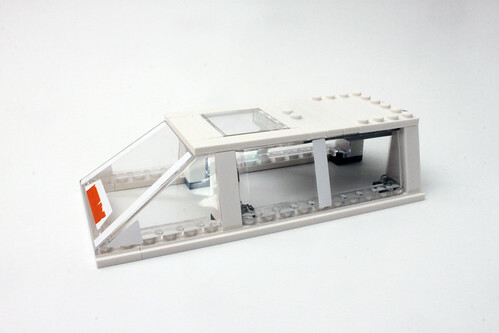 On the sides, it uses 2x10x3 windshields which is also very rare as it is only been used in the LEGO Creator Volkswagen Beetle (10252). Again, there is a sticker on each side so you might not want to apply it if you want to use the piece in the future. 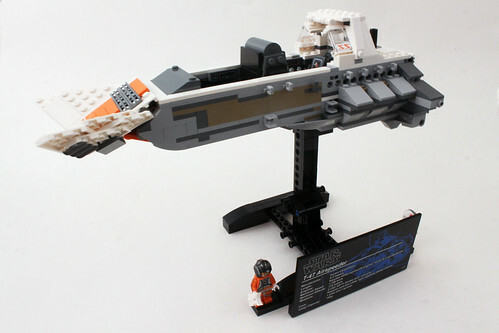 All around the whole section are some white tile pieces to give it the sleek look and it attaches to the ship using some hinge pieces. 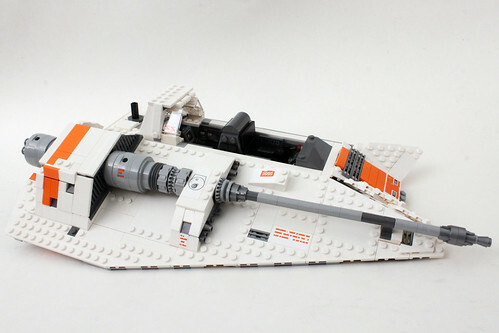 Overall, I really did enjoy building the LEGO Star Wars Ultimate Collector’s Series Snowspeeder (75144). 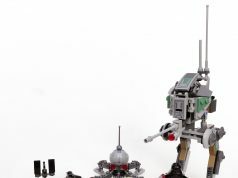 The vehicle build makes a triumphant return in 2017 after the UCS Assault on Hoth from last year which may or may not a misstep according to LEGO but it certainly was with fans of the Ultimate Collector’s Series line. 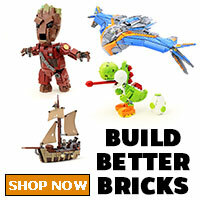 The build itself is really good and the proportions are pretty much spot on. The play features are decent and I do like the steering wheel for harpoon gun on the back. The brake flap function is not bad but it’s nice to have. 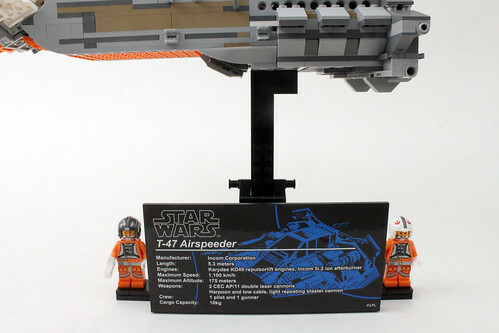 The two minifigures that are included are not to scale so they are merely just for use on the stand. 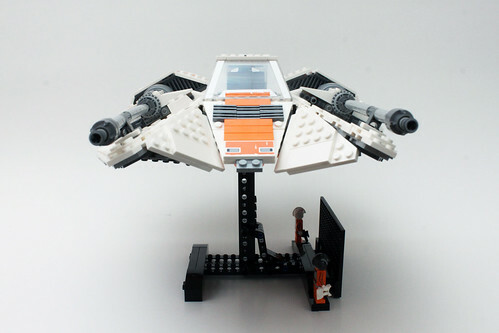 Speaking of the stand, it doesn’t “lock” in the vertical position but it leans forward to make the Snowspeeder seem like it’s flying. 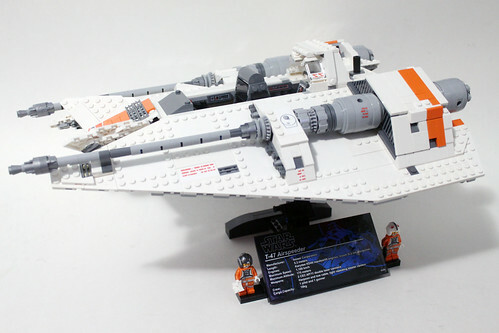 One thing that I didn’t like about it was that it has stickers, which is the same sentiment of other builders. 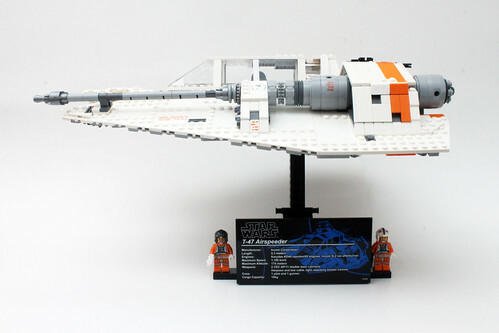 Considering that it is a UCS set and the moniker commands premium detailing, stickers do take away from it especially when it has a total of 35 of them spread through the ship. I know that stickers do cut the cost down from printed pieces which cuts down on the overall price of the set itself but I have a feeling that fans wouldn’t mind paying a little more to have printed parts. 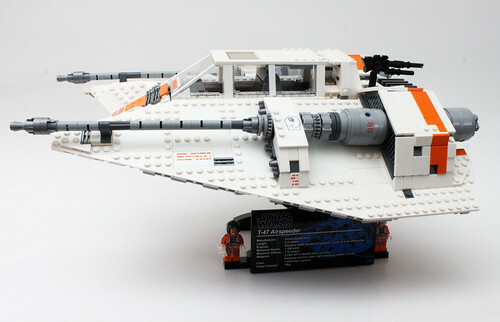 As mentioned before, the UCS Snowspeeder (75144) will be available for LEGO VIP members for early access starting April 29 and for the general public on May 4 to coincide with the traditional May the 4th promotion.